I have a pile of things to bring to our rehearsal space at Paulin Memorial Church by the front door. All the binders and paperwork is organised, and ready to hand out to the students and volunteers. There are two huge bins of paper in the back of my van provided to us by our wonderful sponsors, Southland Insurance. Southland has printed up our rehearsal materials, which is just an enormous help to us. Tomorrow, we’ll have about 45 kids descending upon us to start rehearsing Anne of Green Gables and Seussical (we usually divide our rehearsal time to get an early start on vocals and dance for our musicals). Next Saturday, the Juniors join us to begin rehearsing for Christmas Around the World, and we’ll have about 60 kids every weekend from there on out. Our group is another big one this year – not many kids haven’t re-registered, but we’ve done our best to work our way through our waiting list and get as many as possible here with us this season. We’re excited! We can’t wait to get things underway. Today, happily, one of our posters was finalised. A bit out of order – Anne of Green Gables isn’t ready yet – but we’re very glad to have it, and think it’s beautiful. Big thanks to Colleen Coleman of Creation Design, Inc. for doing such a beautiful job with it, as always. One of the things we’re really looking forward to is the selection of our tshirt design. We have decided to continue our penguin theme at RTC again this year (if you’re curious about the RTC penguin obsession, read this. We asked the kids to pull together penguins, Anne of Green Gables, and Seussical – and we have seven designs that will be up for a vote tomorrow. One of our students will be featured in this season’s company tshirts – stay tuned for a new post about that coming up soon! I’d just really like to thank the entire crew that’s poised to start working with these kids. The time and effort these people invest in our kids is astonishing, and beyond generous. So to all of them – eat your Wheaties, and I hope you got at least a LITTLE rest this summer, because away we go again! Previous: Previous post: The Fourth Annual RTC Car Wash Fundraiser Raises $600! 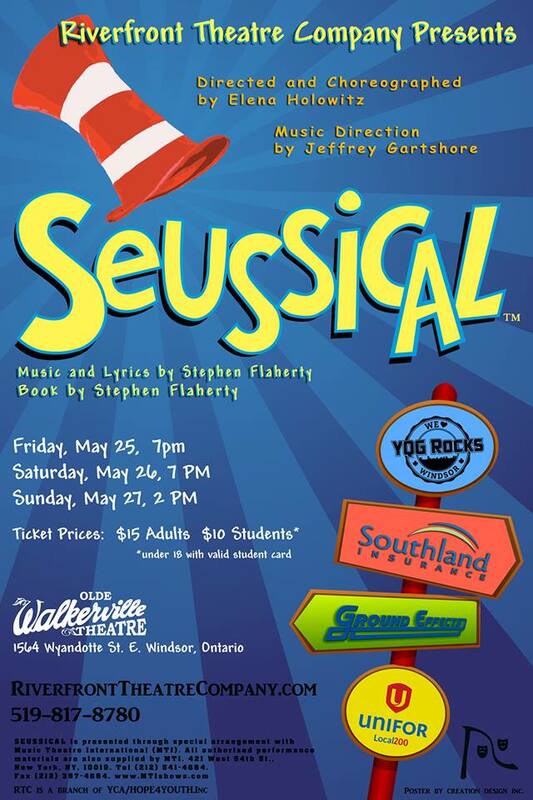 Next: Next post: Announcing our casts for Anne of Green Gables and Seussical!